A loan of $3,000 helped to renovate a flat for renting. Eter is 51 years old. She lives in the small village of the Khelvachauri district with her son. Eter has requested loans from local financial institutions several times for family business start-ups, but without any success. Her loan request was rejected all the time because of low income and the family’s poor living conditions. The only source of the income for the family is from the agricultural activities. In particular, they have 0.3 hectare plot of agricultural land, where different kinds of vegetables are grown. They sell the harvested products locally. It is hardly enough to provide food for the family. According to Credo estimations the family belongs to the subsistence poor category. Eter requested a loan from Credo to start a family business. Eter has now been approved for a loan within the framework of the new joint initiative of Kiva and Credo. The start-up loan program envisages provision of business start-up and re-startup credits with soft conditions for rural poor people, who do not have access to credit products. These rural poor people are regarded as “high risk borrowers” because of their low income. With this credit, Eter will renovate a two-room flat for renting. 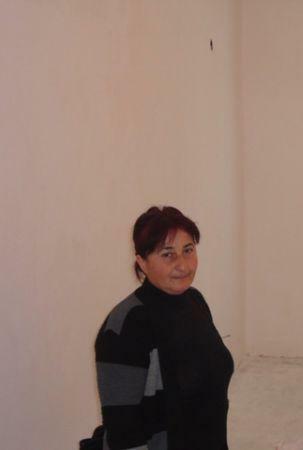 After the flat is renovated, Eter will rent it out and increase the income of her family. The new business initiative, financed with the Kiva start-up loan, will significantly improve the living conditions of the family.